I love collaborating with creative companies to design colorful and inspiring products that help create a joyful life. My designs are available for licensing or purchase and I especially enjoy creating original, custom patterns for unique projects. My work is an exploration in fresh color palettes and bold, hand-made, illustrative forms and works well for products like stationery, textiles, children’s products, home accessories and wall coverings. 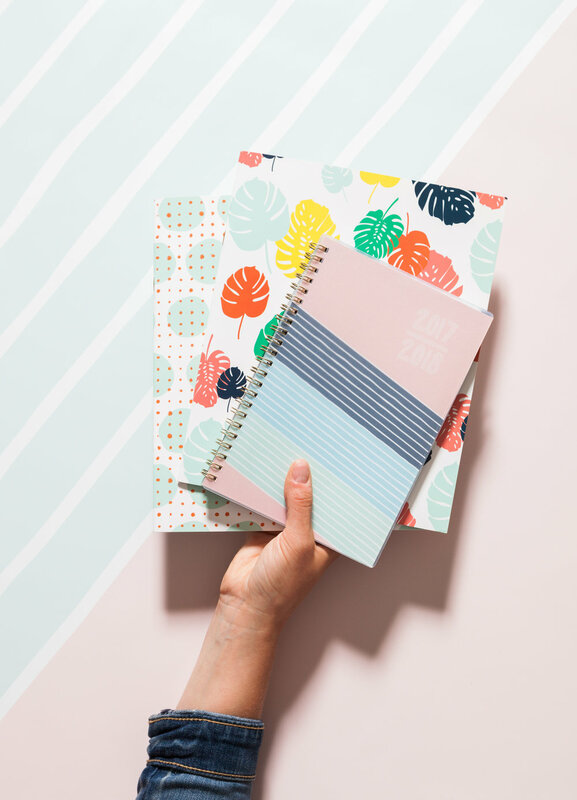 I have worked with clients like Shutterfly on their Designer Collection and Blue Sky, creating planners an calendars for Target and other major retailers, along with serving other small businesses by creating custom, strategic brand identities. If you’re interested in collaborating please click on the button below to get in touch and tell me a bit more about your project. In the meantime, here’s a small sample of my personal and licensed designs. Click here for a selection of my branding work.